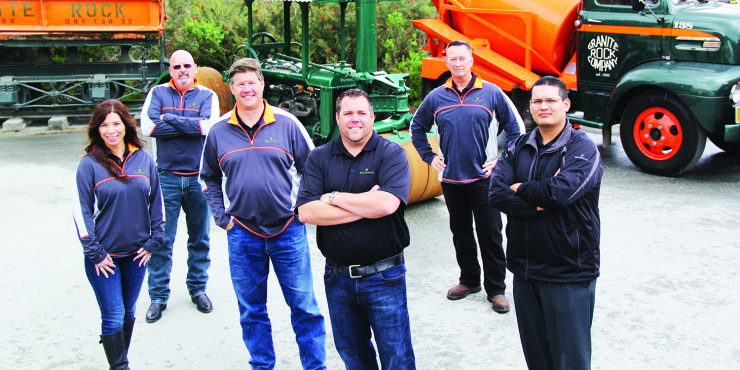 WATSONVILLE – The decreasing number of young people entering the construction industry is a troublesome trend impacting firms across the country. The latest stats from the Associated General Contractors’national survey indicate some 83 percent of companies have difficulty finding qualified employees – particularly in the craft trades. Graniterock created the Construction Academy to introduce potential career opportunities in the heavy civil construction and construction materials industries to high school students. The Academy, which initially has been brought to Watsonville High School'sROP classand San Jose’s James Lick High School, is designed to give teens an up-close look at the fun and challenging work taking place in construction and encourage them toward this career path. The program includes a tour of Graniterock’s A.R. Wilson Quarry 9 a.m.-1 p.m. Thursday, Oct. 29. Media members are invited to join us for the tour and talk to students and Graniterock people to learn more. Watch more here https://youtu.be/LwuPiC3tld0.